YNot Web Inc. is an digital marketing firm that offers personalized web services to our clients. We value our client relationships and strive to offer a level of service that exceeds expectations. YNot Web helps businesses, organizations, and entrepreneurs get exposure and become highly visible on the web with results-driven, customized online marketing services such as technical, semantic, and content Search Engine Optimization (SEO), paid search (SEM), and social media marketing (SMM). We work with small companies with revenues up to $10 million per year. Check out our client testimonials to learn more about what it’s like to work with us. Our small but effective company was founded by Kammy Caruss in Fair Oaks, California in 2003. Originally focused on search-engine friendly web design and development, the company grew its technical search engine optimization and digital marketing expertise and offerings, finally dropping its web development and design services altogether in 2014. In 2017, YNot Web incorporated and moved its main office to Sacramento, CA. Now, YNot Web partners with their clients to plan, create, and implement their entire marketing strategy for the web, making sure they are using the most effective online tools possible for maximum exposure and client attraction. Kammy is highly involved in the community, working with various groups to the benefit of area youth and animal causes, as well as those seeking to ensure the economic prosperity of women, minorities, and our area as a whole. She is currently active with the Sacramento Rainbow Chamber of Commerce, serving as a board member from 2015-2017, as a Foundation board director 2017-2019 and again as a Chamber treasurer 2018-2019. Kammy is also a long-term member and former president of NAWBO Sacramento, as well as a member of the Golden Gate Business Association, Western Business Alliance, Rancho Cordova Chamber of Commerce and previously with the Fair Oaks Chamber of Commerce (serving on that board in 2005, 2008, and 2010). 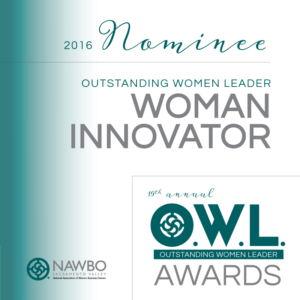 Kammy was named an Outstanding Women Leader (OWL) Award nominee in 2016 and 2018 by the National Association of Women Business Owners, Sacramento. 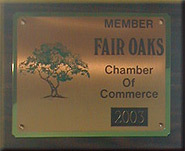 YNot Web was awarded Business of the Year 2006 by the Fair Oaks Chamber of Commerce. Kammy was named Community Volunteer of the Year 2007 by the Fair Oaks Rotary Club. For more information about Kammy & YNot Web, please visit us on Twitter, or Facebook or LinkedIn. To learn more about how we can work together to exponentially increase your online visibility, call 916-436-1638 or contact us today.